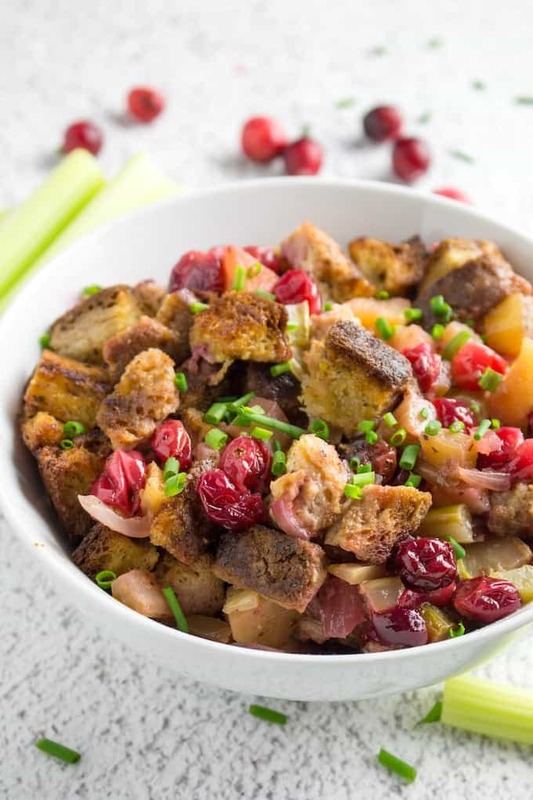 Cranberry Stuffing Recipe – Gluten Free! Cranberry Stuffing Recipe is made with my homemade gluten free stuffing mix and fresh cranberries. It’s a sweet and tasty side dish that’s perfect for Thanksgiving, and ready in under 60 minutes! We’re prepping my house for a 100% gluten free Thanksgiving dinner, and today we’re using my Gluten Free Stuffing Mix to make cranberry stuffing. I’m also cooking up these Garlic Parmesan Mashed Potatoes, and Root Vegetable Gluten Free Stuffing! 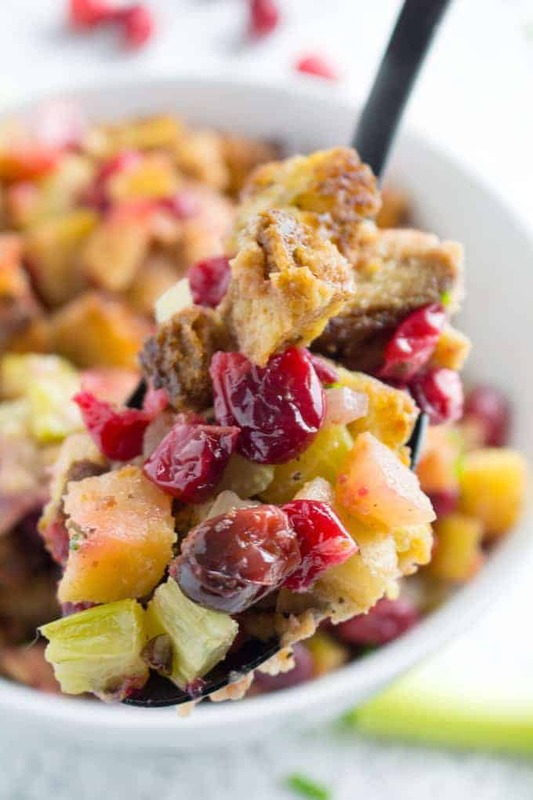 Cranberry Stuffing Recipe is an easy gluten free Thanksgiving stuffing recipe. 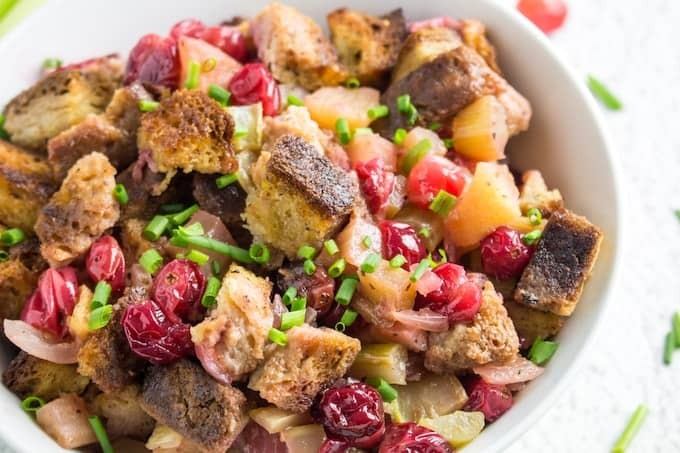 It’s the perfect combination of sweet cranberries and vegetables, along with my own personal stuffing mix recipe, cooked in a savory broth until it’s golden brown and slightly crispy on the top. 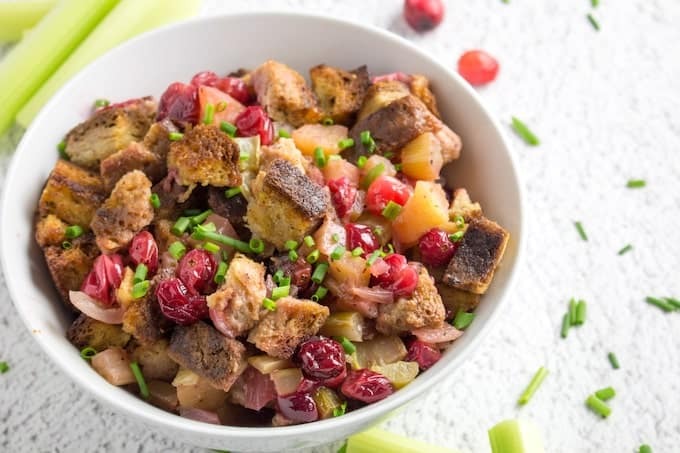 I always prepare the Gluten Free Stuffing Mix ahead of time, so this Cranberry Apple Stuffing can be thrown together in minutes. You know, when you’re busy getting the turkey together and making 5,000 pies at the same time. A normal Thanksgiving. What are the best things to add to stuffing? 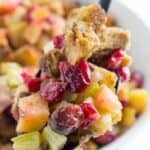 Can I freeze Gluten Free Cranberry Apple Stuffing? 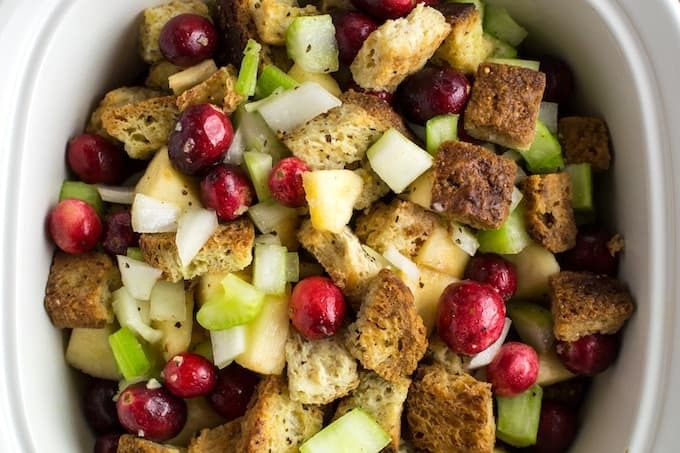 Yes, Gluten Free Cranberry Apple Stuffing can be frozen before or after cooking. Sometimes I make extra to freeze some for another meal. 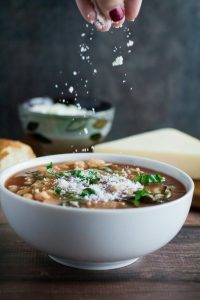 It’s great when you can just take it out in the morning to defrost in the refrigerator and then pop it in the oven for a quick side dish. I’ve even taken it directly from the freezer to the oven and it came out great. Keep in mind what type of dish your stuffing is in. Not all ceramic dishes will go from freezer to oven and may crack because of the extreme temperature change. Be careful! 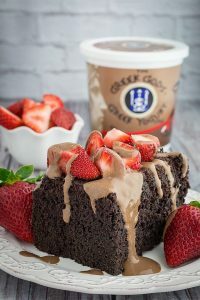 I use disposable metal catering dishes if I’m going to be doing this. What kind of apples work best for stuffing? 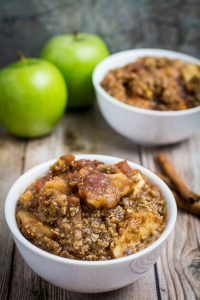 Golden Delicious apples work really well for that crisp and tart bite, but Red Delicious apples have a nice sweet taste and Cortland apples have that blend of sweetness and tartness that goes well in stuffing recipes, too. But honestly, stuffing is forgiving, so use whatever you have on your counter. Do I have to cook the cranberries first? You can cook the cranberries first, but I prefer to just mix them right in. They will cook in the stuffing and give you amazing little bursts of sweetness with every bite. 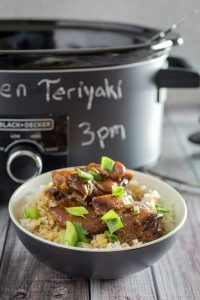 This is an easy recipe if you’re going to a pot luck dinner or simply want to bring your own special dish to that family dinner. My family always asked me to bring this one when we share Thanksgiving. 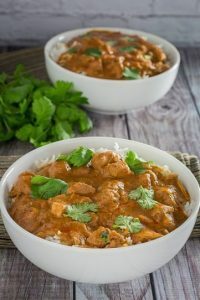 It’s everyone’s favorite and I’m happy that it’s such an easy recipe to throw together! Cranberry Stuffing Recipe - Gluten Free! Cranberry Stuffing Recipe is made with my homemade gluten free stuffing mix and fresh cranberries. 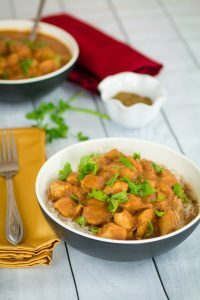 It's a sweet and tasty side dish that’s perfect for Thanksgiving, and ready in under 60 minutes! Preheat oven to 400F. Grease a large baking dish and set aside. 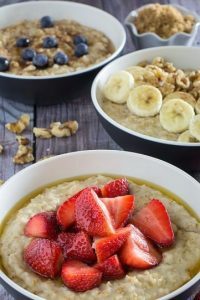 Mix dry ingredients together in bowl. 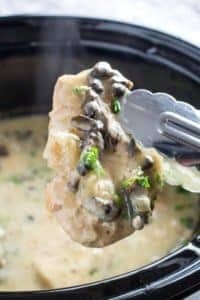 Pour melted butter and chicken stock over ingredients and stir together. Transfer to baking dish and bake for 40-45 minutes, or until top is golden brown. Click on the time in the instructions to start a timer! *If your stuffing dries out, add some broth at the end for more moisture.